Dosas, a popular Indian street food, are thin, rice- and lentil-based pancakes that can be stuffed with or dipped into a variety of flavorful fillings. 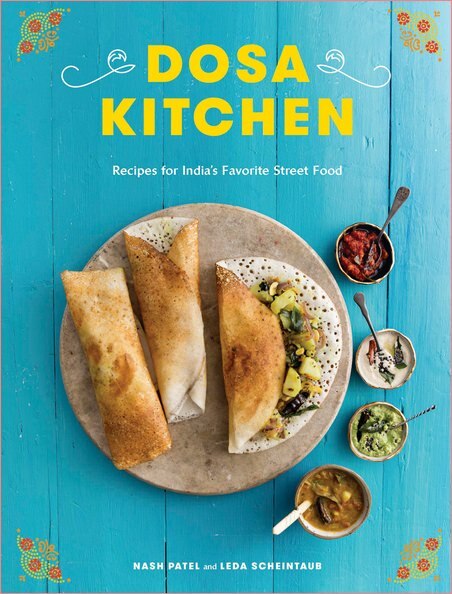 Dosa Kitchen shows you how to make this favorite comfort food at home with a master batter, plus 50 recipes for fillings, chutneys, and even cocktails to serve alongside.Dosas are endlessly adaptable to all tastes and dietary restrictions: naturally fermented and gluten-free, they are easy to make vegetarian, vegan, and dairy-free as well. With dishes featuring traditional Indian flavors, like Masala Dosa and Pork Vindaloo Dosa, as well as creative twists, like the Dosa Dog and the Cream Cheese, Lox, and Caper Dosa Wrap, any kitchen can become Dosa Kitchen!